Join pirate Jolly Rhonda in Wild Plunder, a 5 reel, 25 payline video slot from NextGen Gaming. 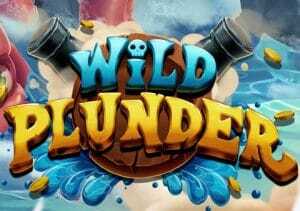 As its name suggests, Wild Plunder is all about the wilds. Trigger the wild spins and you’ll get up to 5 extra spins (initially) with roaming wilds. Look out too for krakens that can add even more wilds and wild currents than can bring up to 9 extra wilds into play. Stakes start at 25p, rising to £625 per spin. The visuals in Wild Plunder are a little unusual. You’ll see a globe spinning behind the reels. There you’ll find 4 lower value coins symbols, each of which offers awards of up to 2 times your bet per payline. They’re followed by jugs of ale and treasure chests which pay up to 6 times your bet and the ghost pirate who awards up to 12 times your bet. The most lucrative standard symbol is octopus. Land 5 of these in combination and you’ll receive 14 times your bet. Central to much of the game’s best action is pirate Jolly Rhonda who is wild. Land 5 of her and she’ll get you 16 times your bet. There’s a decent selection of extras on offer in this pirate adventure. Wild Spins feature – land 2 of the Jolly Rhonda wild on the same spin to trigger this round. Any higher value ale, treasure chest, ghost or octopus symbols that are adjacent to Jolly Rhonda turn into logo wilds. You’ll then be awarded a series of wild spins (up to 5). On each of them, the Jolly Rhonda wilds will move 1 reel to the left – each new Jolly Rhonda wild will give you another wild spin. The round ends when all of the Jolly Rhonda wilds have dropped off the screen. Wild Currents feature – this can blow into life on any spin in the base game. The globe spins more rapidly. If an island lands above reel 3, it will deliver between 3 and 9 extra wilds to reels 2, 3 and 4. A new payout calculation then follows. Rhonda’s Re-Spin feature – this can become active if you land 1 Jolly Rhonda wild. The wild is held and the reels spin again to hopefully create a new winner or trigger the Wild Spins feature. Release The Kraken feature – on any base game spin, the Kraken can awaken and replace 1 or more symbols with Jolly Rhonda wilds so you play the Wild Spins feature. Wild Plunder gives plenty of opportunities to live up to its name. The best of them is the Wild Spins feature where the extra wilds can really come into their own. The Wild Currents feature can conjure up some solid opportunities too. Saying that, variance wise it’s rather low with maximum payouts of 400 times your bet on each spin. The pirate theme is as old as the hills but remains popular. Wild Plunder is a good example why. The visuals are nicely done and there’s a catchy jig of a soundtrack playing as you spin. The range of extras offers something a little different too. If you like the pirate theme, I recommend you try ELK Studios’ Wild Seas which is much more volatile but offers bigger winning potential.